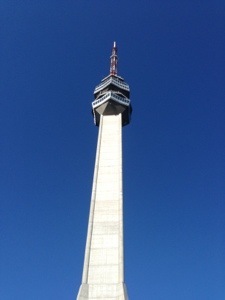 Last weekend, we went with the old man who is our backyard neighbor on a trip to Avala, where the nearby TV tower is located, on top of a small mountain. 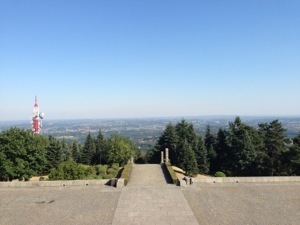 Not only is the tower there, but there are also picnic grounds, a hotel, and a number of memorials. We are in the middle of a heat wave and it was incredibly hot there, despite being in the mountains. On the plus side, because of the heat, it wasn’t very crowded. On the way up the mountain, we stopped to look at the Memorial to the Soviet War Veterans. 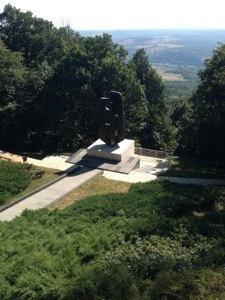 The memorial is dedicated to members of a Soviet military delegation, who crashed into the mountain in 1964, due to fog. 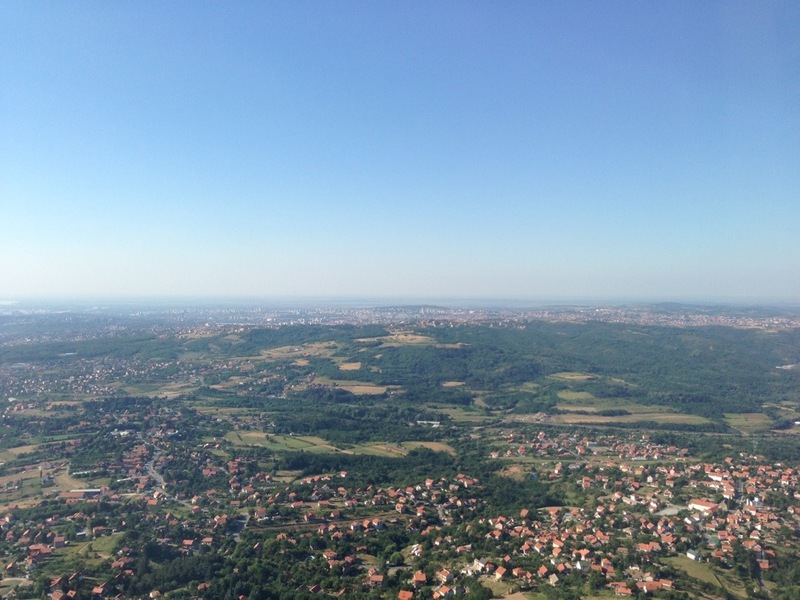 They had been there to celebrate the twentieth anniversary of Belgrade’s World War II liberation. 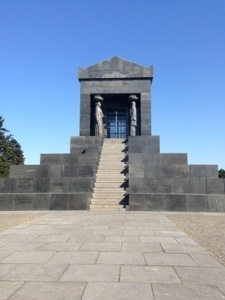 We also walked up and saw the Tomb of the Unknown Soldier, built following the first World War. The view from the top was really beautiful and we could see surprisingly far, despite the haze.